Please join us in congratulating Christophe Villeneuve as Reps of the Month for July 2016! Christophe Villeneuve has been a Rep for more than 9 months now and has reported more than 100 activities in the program. 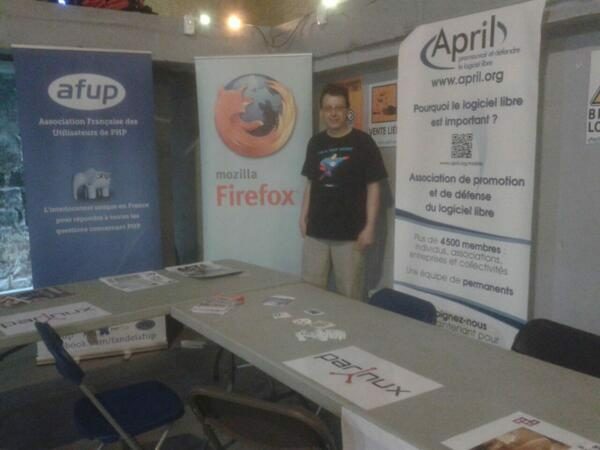 From talks on security to writing articles and organizing events, Christophe is active in many different areas. Did we already mention that he also bakes Firefox cookies? His energy and drive to promote the Open Web and web security is astonishing. Even if sometimes external factors intervene and some of the activities get blockers he neither gets disappointed nor quits, he looks for the next possibility out there. He truly is an open source believer contributing to other open source communities (like Drupal, PHP, MariaDB) as well and he tries to combine those activities for bigger audiences. Please don’t forget to congratulate him on Discourse!